Probably the first Brexit novel. It's all very zeitgeist, what with bloggers and hidden identities, a tech company taking over a small fictional town, a Nigel Farage-esque political outsider, twitterstorms, data leaks and the like. Sam Byers is a confident and talented writer, but the problem I think is that this Brexit soup of Englishness he cooks up is very London. It has the whiff of metropolitan disdain about it - his characters are too one-dimensional and unfortunately entirely predictable. It's like Alan B'stard meets Martin Amis in a Burger King. If previous volumes - essentially a history of US politics in the 20th Century - are anything to go by, the long overdue - fifth and apparently final - volume in Robert A Caro's magnificent biog of LBJ will investigate Vietnam in some depth. Given that RAC's previous book mainly covering the six weeks after JFK's assassination ran to 736 pages, there's no telling when Vol 5 will come out. In the meantime, there's an excellent PBS serial on LBJ for anyone interested in his rise and how Vietnam essentially destroyed him and his presidency. The new Max Hastings book on Vietnam is, by all accounts, very good. 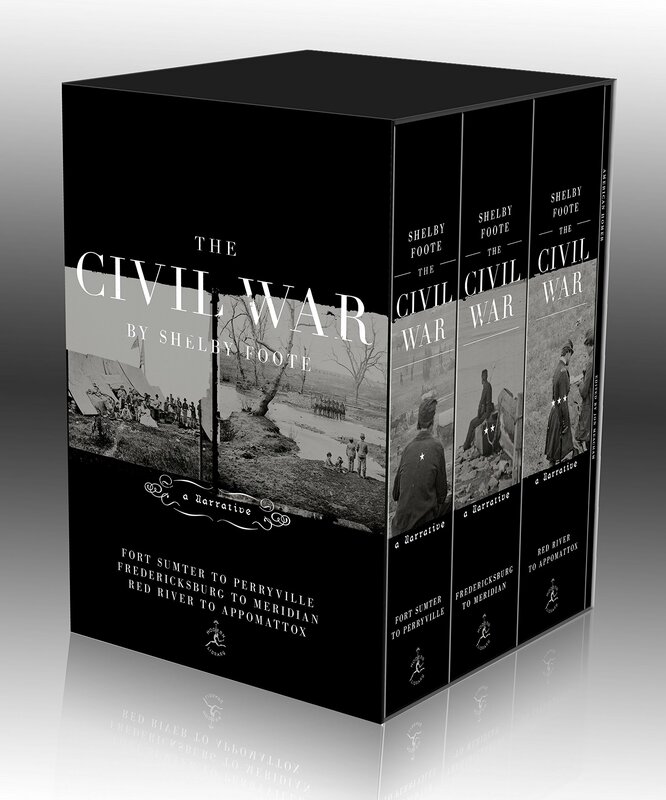 "The Civil War" boxset by Shelby Foote. Yes it costs.... alot....but it's a lovely present for someone to buy for you..... it's a monumental read and simply tells you all you need to know in an unbiased and factual manner, and features absolutely beautiful & poignant commentary/writing. On a fictional note, EL Doctorow's The March is an excellent American Civil War novel. You should be able to buy volume one separately John.... it really needs reading in the correct order. 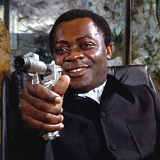 Diamond Dog wrote: You should be able to buy volume one separately John.... it really needs reading in the correct order. James McPherson’s Battle Cry of Freedom lacks the majesty and sweep of Foote’s books, but if you don’t want to read three books ... you could do much worse. There are others creeping around here who are far more learned in this stuff, so if they say there’s a better option, I defer to them. 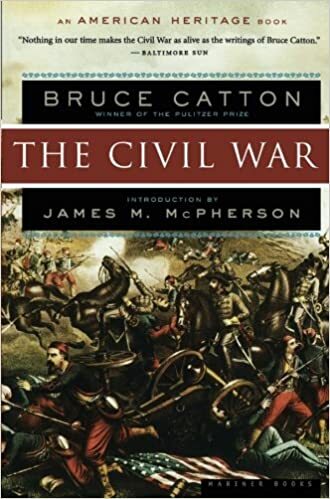 Still Baron wrote: James McPherson’s Battle Cry of Freedom lacks the majesty and sweep of Foote’s books, but if you don’t want to read three books ... you could do much worse. EDIT: That supposed to address Jimbo's post on the Barth novel, which is probably on the last page. Last edited by Snarfyguy on 05 Feb 2019, 01:55, edited 1 time in total. Foote's is a big assed narrative. He was essentially a novelist when he took up the task of writing those books, and has been called the American Homer. McPherson's Battle Cry Of Freedom is a narrative allied with an historical analysis of the events and causes and themes etc. written by an historian and accomplished writer. You may get more understanding of the civil war reading BCOF, whereas with Foote you get the pleasure of immersing yourself in a great story. Depends what you're looking for. Both great. I started reading Portnoy’s Complaint last night. What a book. I’ve used up a months worth of laughter in a couple of hours! Minnie the Minx wrote: I started reading Portnoy’s Complaint last night. What a book. I’ve used up a months worth of laughter in a couple of hours! "I fucked my own family's dinner"
Yes! Oh god. The apple core.